Stylish cottage in the heart of Historical Mile. Enter through a private entrance, into an enchanted garden and shaded deck. 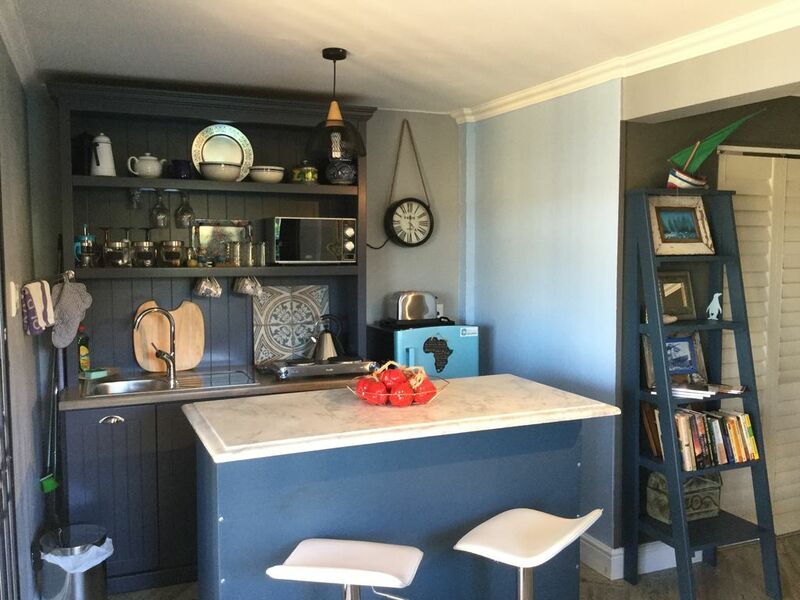 This eclectic cottage has a fully equipped kitchen, lounge and dining area. Queen size bed, en suite bathroom with shower. Sleeper couch in lounge. Gorgeous Mediterranean location, walk to Waterfront, wonderful coffee shops, Boulders Beach, and a 15 minute drive to Cape Point.